It is a happy day for horror fans because the Cryptkeeper is heading to cable network FEARnet. 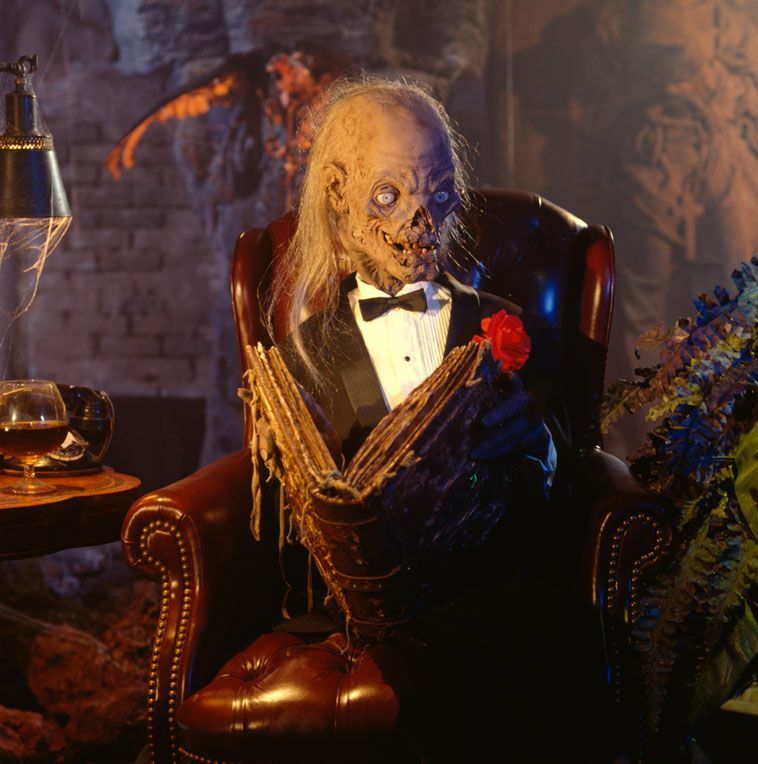 All 93 episodes from Tales from the Crypt, the horror anthology that ran on HBO from 1989 to 1996, will be aired in linear order beginning Oct. 5, 10 p.m. The episodes will be be edited for for content, but the original, unedited episodes of the fan-favorite show will be presented on its VOD platform, where four episodes will be added every Wednesday. Based on the EC horror/crime comics, Tales from the Crypt featured recognizable faces such as Hollywood stars such as Brad Pitt and Daniel Craig; it also included executive producers such as Richard Donner (Lethal Weapon), Robert Zemeckis (Forrest Gump), David Giler (Prometheus) and Joel Silver (Die Hard, Matrix and Sherlock Holmes). Said Silver, in a press release, "We’re incredibly pleased that FEARnet is the new TV home to both versions of Tales ... the episodes are just as effective now as they were when they originally aired. It’s exciting to be able to introduce this cult classic now to a new generation." General manager of FEARnet, Peter Block, brought the show to the network because it "was the first time that horror writers, directors and actors came together in one place to produce a TV series to celebrate the genre." "'Tales' had everything – comedy, gore, splatter, slash, thrill and suspense – and it quickly became appointment television." Along with the episodes, the network has augmented the series with bonus content that allows fans to celebrate the 'Tales' with fresh goodies, such as a gallery of comic book covers used on the show; exclusive video clips and "Cryptkeeper-isms" - a collection of one-liners from the Master of Scaremonies. According to the network, October episodes will include classic tales such as "And All Through the House," based on the classic Vault of Horror entry about a maniacal Santa Clause terrorizing a murderous housewife on Christmas Eve (Oct. 5); "Collection Completed," directed by Mary Lambert (Pet Sematary) and starring M. Emmet Walsh (Blood Simple) as a recent retiree with a sinister plan for his wife’s adopted pets (Oct. 12); "The Sacrifice," starring Michael Ironside (Scanners), about a murderous man being blackmailed for his deeds (Oct. 26); and "Four-Sided Triangle," directed by Tom Holland (Fright Night) and starring Patricia Arquette (Medium) as a troubled woman in love with a scarecrow (Oct. 26).